Expand your child's horizons with the help of Ozobot Bit, the tiny smart robot. 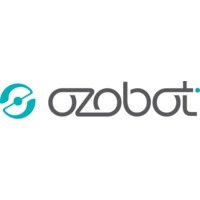 There is no end to the possibilities, as your child creates a different landscape of adventures, games and coding with Ozobot Bit. Imagine, a learning toy that opens the doors of computer science, STEM Education, robotics and coding, making your child one step ahead of the learning curve in school and life.